T.E. Shepherd, the author of The End of All Worlds, invited me to participate in this blog hop opportunity. Below are questions about my latest project; follow the link above to learn about Shepherd's (or as I call him, Thomas)! 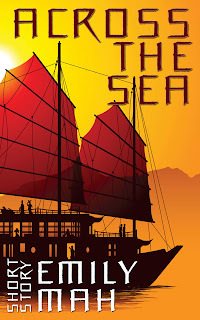 The next thing I'll release under this name, actually, is a short story called Across the Sea, which was originally included in the Aurora Award winning anthology, The Dragon and the Stars. The theme of the anthology was stories from the Chinese diaspora, so I wanted to write something to do with my Chinese heritage. The thing is, I grew up in New Mexico and was also very affected by the culture there (though cultured New Mexicans might feel otherwise.) I'd also recently had a conversation with my linguistic anthropologist friend about Athabaskan languages and how the originated in Asia, and so these three things together formed the seed of the idea. I made my main character half-Chinese, like me, but she is also a registered member of a native, Athabaskan Tlingowa tribe (a fictitious tribe set in Oregon, that has some superficial similarities to the Tollowa and Tlingit peoples). And I think all my conversations with my friend had gotten under my skin, because I ended up writing about an academic dispute over a paper written about language shift and the creation of creoles that became a bestselling book. The problem my main character has with this book is that it mocks her not deceased aunt, who was one of the last people fluent in Tlingowa. 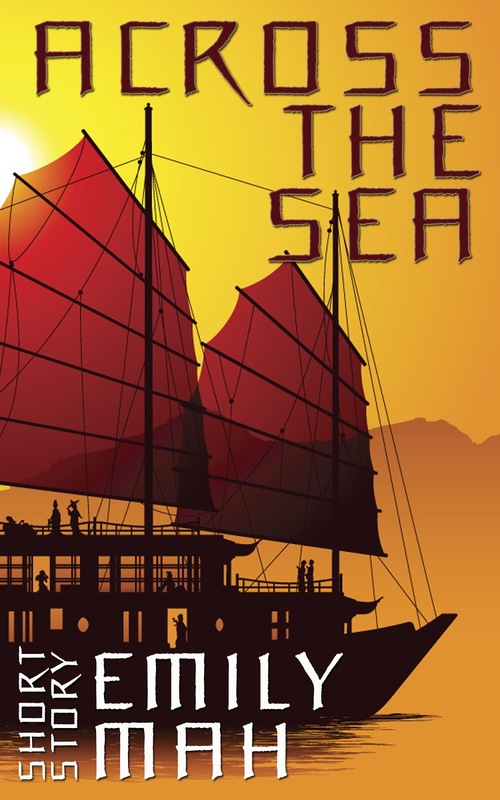 Aunt Bess told a fantastical story about survivors of a Chinese junk that wrecked just off the coast. The details are so out there, that the researcher who recorded it assumed it was just her dementia talking, but my main character wants, more than anything, to believe that it might be true. Mythic science fiction or science fantasy. It's got science fiction elements, but isn't bound by the actual laws of science. About three months or so. Short stories are hard because they're so short. A colleague of mine referred to the process of writing them as, "like trying to stuff a cat into a Coke bottle without breaking bones," and I think that's very apt. Good question! I suppose the most famous work of mythic science fiction is The Martian Chronicles, but aside from mixing science fiction and mythos, there the similarities end. While I doubt I'm creative enough to have gone in a totally new direction, nothing immediately springs to mind. My linguistic anthropologist friend, the native cultures of New Mexico, and the prompt from the editors of The Dragon and the Stars. It's got a few twists I haven't discussed here. A lot happens in a short span of pages. I plan to get Across the Sea out just before Christmas!